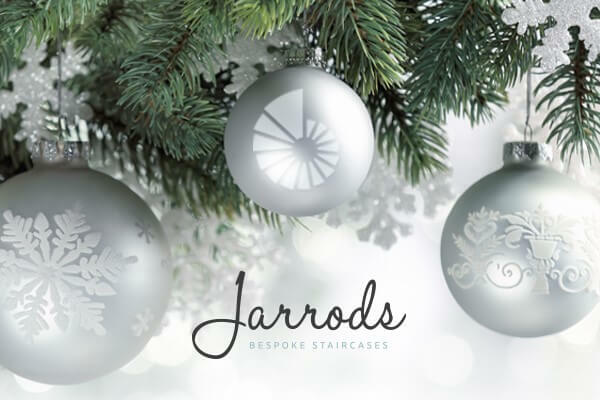 In between designing new staircases for our customers, we’re in a festive mood at Jarrods HQ. The decorations are up (including on the staircase, of course) the mince pies are on the table and the Christmas classics are playing… or at least until we get fed up of them. In our new brochure, we waxed lyrical about the role that a staircase plays in the daily life of a family. If you’d like to read the poem that Sherelle wrote, let us know and we can send you a copy. 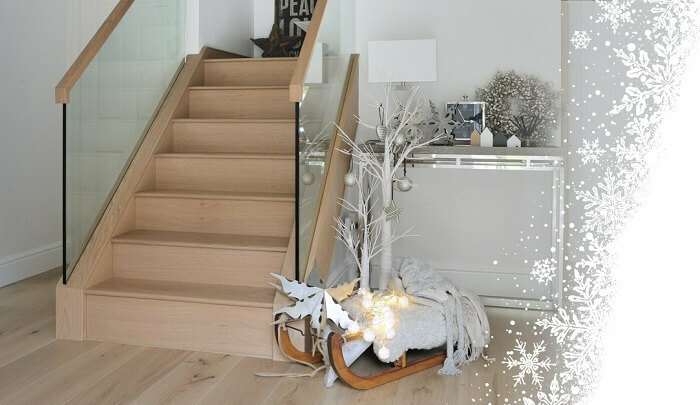 All of this yuletide joy got us thinking about how important a staircase is at Christmas time. We can probably all remember the feeling of coming down the stairs on Christmas morning as a child. And, like us, there are probably plenty of people out there who decorate their staircase with a bit of festive glitz and glamour. We thought it would be nice to see just how people spruce up their stairs and deck their bannisters with decorations. We’ve decided to start what will hopefully become an annual Jarrods Christmas event; Seasonally Stunning Staircases. We want you to share with us on social media a picture of your Christmas staircase decorations. And to celebrate the finest example of yuletide decorating, we’ll offer a luxury Harrods hamper. Yes, you read that right. It’s not a basket of food that Jarrod has put together, but a genuine hamper from the big store in London that rhymes with us! If you want to be in with a chance of winning this fabulous prize, it couldn’t be simpler. 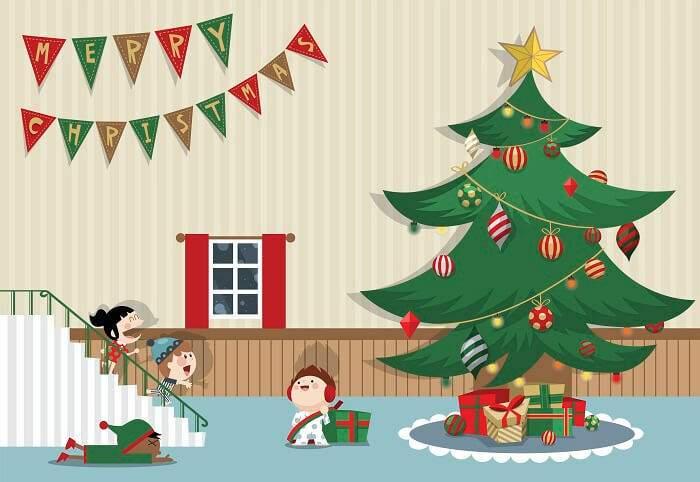 Just tweet us your tree or share your festive photo on Facebook. On Twitter, tag @JarrodStaircase into your tweets. On Facebook, post a photo on our page. And don’t forget to include #SeasonalStaircase. 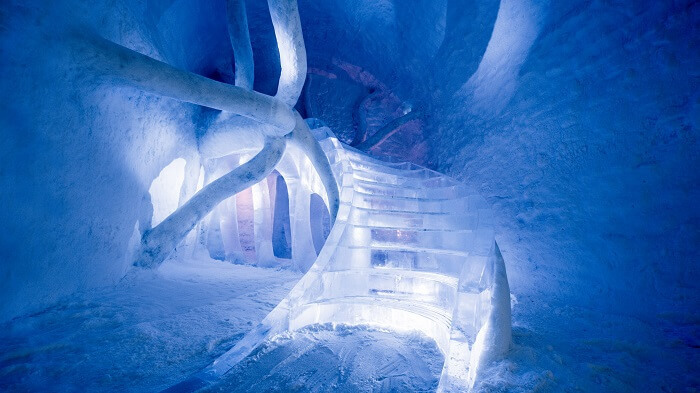 Now we wouldn’t expect anything as impressive as the ice staircase that features in the latest Ice Hotel in Lapland. To give you plenty of time, you’ve got until the official date that the decorations come down to send us a photo of your Christmas staircase decorations. That’s Thursday, January 5th, 2017. We’ll then pick a lucky winner who will receive a luxury Harrods hamper! We can’t wait to see your Seasonally Stunning Staircases.